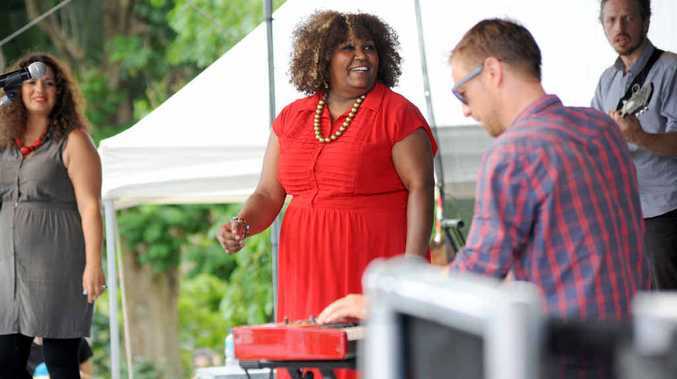 IT'S often said performers find that special place in their music when they return to their roots and in Emma Donovan's case, the Saltwater Freshwater Festival granted her the perfect stage on home country. 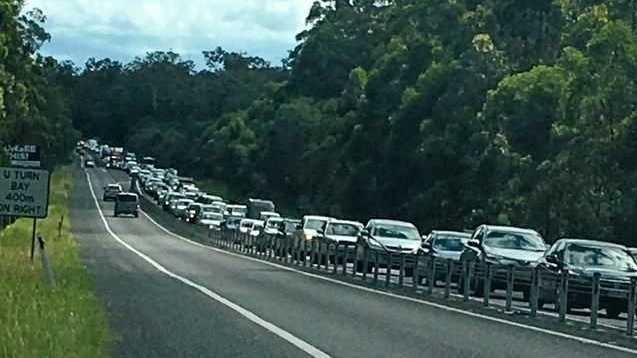 Emma said it was an immensely proud thing that Coffs Harbour had achieved in incorporating its Australia Day ceremony with the Saltwater Freshwater Aboriginal Festival at the Botanic Garden. "It's very special for me to play at this festival on Australia Day," Emma said. "It's one of my favourite festivals that I love coming back home for; it's a proud feeling. "I'm a proud Gumbayngirr woman. This is our wajaar (home) and we are proud and excited to share our Gumbayngirr way on a day like this; to be here sharing and passing knowledge to everyone and exchanging lots of cultures as part of a new Australia." 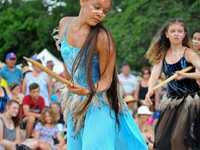 Redefining Australia Day, Saltwater Freshwater Festival attracted a large crowd that organisers hoped would reach 10,000 people. Highlights included the Welcome to Country performed by Gumbaynggirr Elder Uncle Mark Flanders and traditional and contemporary Aboriginal dance. Chef Clayton Donovan gave a gourmet bush tucker cookery demo and cultural workshops ran representing the four Mid North Coast Aboriginal nations - Gumbaynggirr, Dunghutti, Biripi and Worimi. 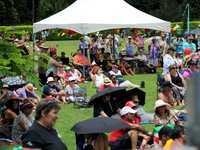 headline act Archie Roach, hip hop artist Briggs and Coffs Coast band DidJital. 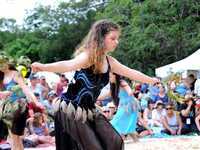 Since its inception five years ago Saltwater Freshwater Festival has been shared between communities on the Mid North Coast. Headliner Archie Roach had a nice take on the significance of the Australia Day festival that brings Aboriginal people together with the wider community. "I love the thought of the Saltwater and Freshwater because you know it's two different stories," Archie said. "Most rivers meet the sea, and it's a lovely idea. "It's a wonderful story, a wonderful concept the Saltwater Freshwater."